Our Google Analytics report sample makes your client reporting simple! Traffic, New users, Time on Site, CTR, Conversion Path, Bounce Rate… Your clients’ websites undoubtedly involve a whole lot of data you need to keep track of constantly. Our Google Analytics report template enables you to gather all your key metrics in a single, nice-looking Google Analytics custom report for your client! 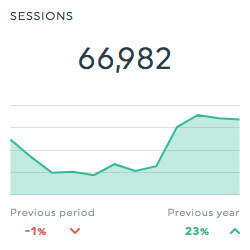 Our analytics report template comes with the most important web analytics KPIs. And if you have different ones in mind, you can edit, swap, and change those key metrics around! Want to display your data with our custom Google Analytics report template? Plugging your own data from across a multitude of digital advertising tools into our simple custom Google Analytics report template is as easy as 1-2-3! Incorporating your Google Analytics data source is a matter of just three clicks. It’s that easy! Choose the Google Analytics report template from the drop-down menu, and you’re all set! Google Analytics, Google AdWords, Google Search Console, Moz, Ahrefs, SEMrush and Bing are just a few of the integrations you can connect to your analytics template. 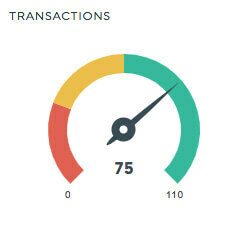 Automate your analytics reporting process with DashThis! DashThis offers plenty of automation and customization options to easily make our Google Analytics report template your own. Your account can be shared with your entire team, so that you all have access to your analytics reports whenever you need! Pie chart, gauge chart, simple number, stacked columns, list… show your data & customize your performance reports the way YOU want to! Give your clients what they need with a white label Google Analytics report that fits their brand with a custom report URL, a custom design, or even both! Regardless of what kind of web analytics report you need to create, DashThis has the preset custom report template for you! Keep track of your paid ads data in a Google AdWords report to find out which ads work best for your audience. Monitor your website’s indexing with a Google Search Console custom report that you can then use to optimize your ranking. Track your Facebook Ads, Facebook Insights, and Facebook Business Manager data in a single Facebook report. Your Instagram report should include post count, likes, comments count, and followers among your many KPIs! See how your competitors are ranking on search engines and use an Ahrefs report to boost your organic search traffic! Discover your SERP positions and rankings and use a SEMrush report to compare your results with your competitors’. Need other types of report templates? We’ve got your back! Take a look! Why not make your life easier by using our preset PPC report example? All you have to do is plug in your paid marketing data, and you’re all set to start reporting! Creating an online advertising campaign report should be easy. This is why we’ve thought of the KPIs you’re most likely to track and template that is ready for you to use! Find your most useful KPIs regrouped in an ecommerce report template and see how your ecommerce strategy is working for you! Ensure that your social media campaigns, from Facebook, Twitter, YouTube, Instagram, LinkedIn, and more, are always on track! Our social media report template has all the KPIs you need! Email marketing requires time and tremendous effort to come up with the right content to send your audience and find the right tone. Track your results with our email report template! SEO is the bedrock of any digital presence. 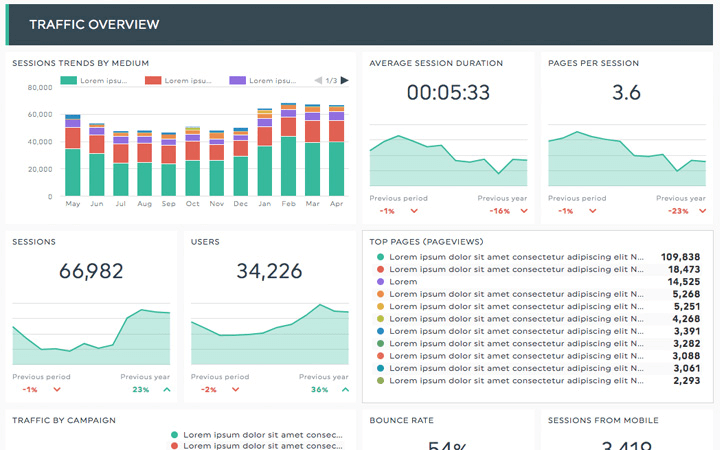 Our SEO report template ensures that you have all your most important KPIs at your fingertips!